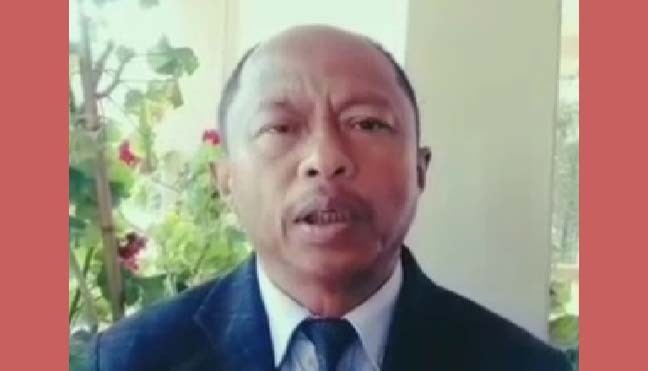 The party candidate of the Khun Hynñiewtrep National Awakening Movement (KHNAM), T. H. S. Bonny, on Tuesday filed his nomination papers to contest from Shillong parliamentary constituency in the upcoming Lok Sabha elections slated for April 11, 2019. This is the second time that Bonny, a retired Indian Forest Service (IFS) officer, is joining the electoral battle. He had first unsuccessfully contested the State Assembly elections as a candidate of the erstwhile Meghalaya Democratic Party (MDP) from Sohïong Assembly constituency in the year 2008. However, in 2008 Meghalaya Assembly election, he was able to received only 182 votes. “I have decided to contest the Lok Sabha elections after seeing the plight of people in all rural areas under Shillong parliamentary constituency,” Khun Hynñiewtrep National Awakening Movement candidate Bonny told media persons after filing his nomination papers. Bonny said that he had toured more than 600 of 2000 villages and found that the state of education in the State is deplorable. “If the education system does not change, we have no hope of improvement. Therefore, if elected as Member of Parliament, my focus will be on the rural areas and to ensure development,” Bonny said. He also hit out at the present National People’s Party-led Meghalaya Democratic Alliance (MDA) government and previous governments for lack of development in all sectors.